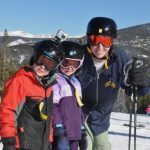 Most parents will agree: ski school is one of the most important elements of any family ski vacation. 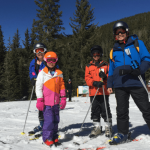 Even parents who opt to teach their kids to ski on their own (I’m one of them), find that enrolling kids in lessons while on vacation aids the learning process exponentially. 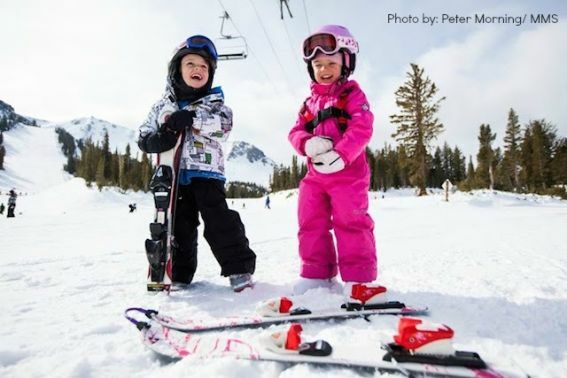 Kids have fun and learn from a different perspective, and parents can enjoy resort time without needing to be in ‘ski school mode.’ No matter how much fun I’m having skiing solo or with my spouse, I always look forward to ski school pick up time, when I can chat with my kids’ instructors. 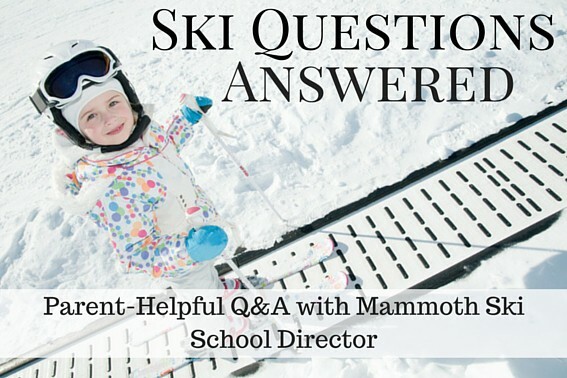 Of course, there’s never enough time to get all my questions answered, which is why I’m glad I got to sit down with Mammoth Mountain‘s director of ski school, Craig Albright. Read on for some questions posed to Craig, followed by his expert answers. 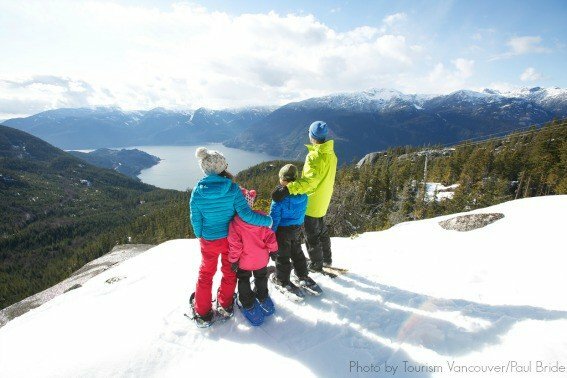 Q: What are the best reasons for parents to get their kids into skiing or snowboarding? 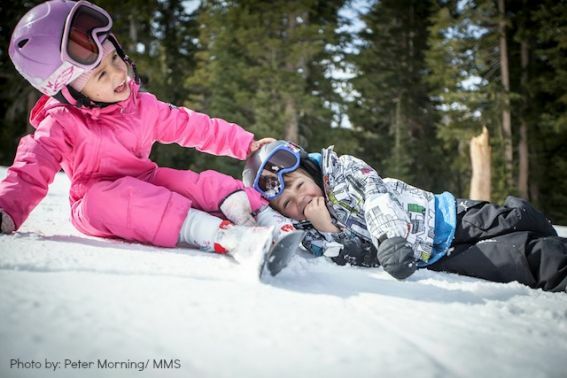 A: Skiing and snowboarding are ‘lifetime,’ or family sports. Few other activities have something for every member of the family from age 3 to 83. Kids can be participants their entire lives in a great multi-generational fashion. 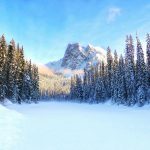 Through skiing and riding, kids learn to enjoy being active and outdoors during the winter months in this awesomely beautiful and social environment. Q: To ski or to snowboard? Any tips for helping parents navigate that question with their kids? A: With improvement in snowboard equipment for children over the past ten years, there is no limitation to children learning either. The child’s interest is the best driver of what they should try. That said, the first couple of days can often be more challenging on a snowboard than on skis. This is because with both feet strapped in, balancing and mobility are more difficult than on skis. If your child has no preference then I typically recommend them trying skiing first as it is usually a bit easier to feel competent over the first couple of days. Q: Lessons aren’t just for beginners. 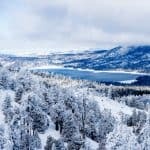 Seasoned skiers and snowboarders can really benefit too. Can you talk a bit about that? A: With skiing being a lifetime sport and the fact that the snow and conditions are always changing (powder snow, packed snow, bumpy slopes, groomed slopes, steep slopes, and flat slopes) there is no end to the learning that needs to happen. Some people like to try to figure it out themselves, but after 35 years in the business I am still constantly working on my skiing and have a couple of go-to people to critique how I am doing and give me something new to focus on. It is probably like golf, where you never stop working on your swing: in skiing and snowboarding you never stop working on your turns. Q: Helmets are a huge piece of staying safe on the mountain. Can you talk about why that is, and perhaps a few tips for making sure a helmet fits properly? A: The sensation of speed is one of the most appealing aspects of winter mountain sport. Even low-level skiers can travel 15-20 miles per hour pretty easily and any crash or collision can generate some substantial forces. Protecting your head just makes sense. Helmets with a size adjustment allow for adding a thin hat or hoodie underneath for extra warmth and allows for adjustment so that the helmet is snug, with no pressure points. Another consideration is to bring your goggles with you when you purchase or rent a helmet as they do need to integrate together to maximize comfort, style, and safety. Q: We’ve heard spring and warmer temperatures it brings are a great time to learn, why is that? A: With the longer days of spring, the sun is higher in the sky, providing better lighting. Plus, not being distracted by a runny nose and frozen toes makes for a more comfortable learning environment. Q: Is there a certification process for your instructors? What does it entail? A: The Professional Ski Instructors of America and the American Association of Snowboard Instructors (PSIA/AASI) are the certification body for instructors in the United States. There are three Levels of certification: I, II, III. 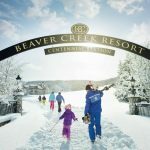 Level I focuses on teaching beginner skiers/riders, level II focuses on teaching up through Intermediate skiers/riders, and level III focuses up through expert skiers/riders. Exams at each level require the candidate to show competence in demonstrating skiing/riding skills, teaching methodology, and technical understanding. Each successive level requires a deeper and more comprehensive mastery of the three zones of demonstrations/teaching/technical. For example, Level I is like a high school diploma, Level II is like a BA degree, and Level III is like a master’s degree. It typically takes 5-8 years to complete all three levels of certification. Q: Once kids are comfortable on the snow and ready to hit the park, most parents are at a loss. Mammoth has some great resources though, including the progression parks. What will kids and parents find there? A: Progression is all about learning new skills, tricks, and maneuvers on smaller features and at lower speed and then progressing in small steps to gradually bigger features at faster speeds. This allows the student to learn the new skill without huge consequences if they make a mistake. As they master the new skill, they then increase the speed (and resulting consequences) in a fashion that minimizes the risk of injury. Q: It’s been in the news a bit lately, but riding chairs is actually one the safest modes of transportation. What are the basics parents and kids should know/ practice? 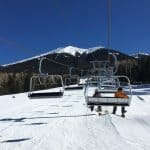 A: Yes, chair lifts are a very safe mode of transport, but seeing your small child 30-40’ in the air is scary for any parent. Instruct your child to always: follow the lift operators instructions, ask for help if needed, and once loaded “sit back, hold on, look ahead.” It is also recommended that the accompanying adult should always bring the bar down for added security. 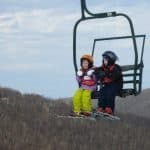 Most of all, remind children that there is to be no horseplay on or around chairlifts. 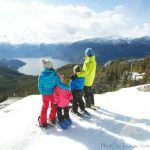 Skiing and riding parents: would you agree with the answers above? What would you add? Let us know in the comments.